*Standard retail prices as of 3/14/2019. Prices and availability are subject to change and can vary by retailer. The Arlo Q is our favorite nanny cam because it’s affordable, easy to use, and full of features that make it easy to check on your kids while you’re away. But it’s not your only option. Keep reading to learn more about why we picked the Arlo Q, and find out which cameras make good alternatives. Size: 4.5 x 6 in. Many people equate nanny cameras with hidden cameras, but our top pick sits out in plain sight. The Arlo Q is small enough that it won’t be an eyesore, but not so small it will go unseen. The Arlo Q took the top spot by offering more smart home syncing and better optics than the other options on our list. It’s compatible with Alexa, Google Assistant, and IFTTT pairings. It also has 1080p video, a 130° field of view (basically, how much of an area that you can see in the camera’s recordings), and infrared night vision, so you’ll always have a clear view of what’s happening in your home. Worried about what’s happening when you aren’t watching? The Arlo Q has motion sensors and audio sensors to alert you if your kids get too close to the power tools or cleaning supplies. These abilities help you keep an eye on your kids whether they’re home alone, with a nanny, or playing in another part of the house while you take a well-deserved rest. The Arlo Q’s two-way audio makes communication simple, whether you just want to say hi on your lunch break or warn your kids to stay out of the cookie jar. It also includes a push-to-talk button so your child can get in touch with you even if they don’t have a phone. At $149, the Arlo Q costs $50 to $100 less than comparable cameras from brands like Nest. And while your family deserves the best, kids are expensive enough, so affordability is a huge bonus. Arlo still offers a subscription service if you want it. And since it costs less than most competitor services, it’s a good deal if you need extra storage—handy if your camera catches the kids or cat doing something hilarious that you need to rewatch. Curious about other Arlo cameras? 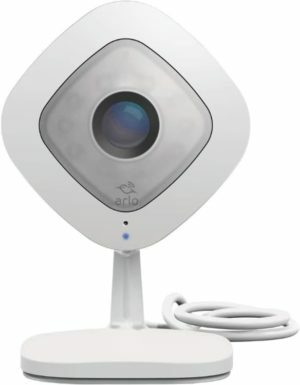 Check out our Arlo review. ASecureLife recommends: Get the Arlo Q camera if you want high-quality images, motion alerts, generous storage, and two-way communication at an affordable cost. We love that you can drop in and talk to your kids to tell them dinner is ready or to tell them goodnight if you’re still stuck at work at bedtime. Size: Camera—3.7 x 2.87 x 0.94 in. ; sensor unit—1.1 x 1.77 in. Choosing a hidden nanny cam means sacrificing perks like two-way audio, smart home syncing, and night vision. But don’t count this tiny Phylink camera out just yet. It’s not as powerful as the Arlo Q, but it is one of the highest-quality hidden cameras available. It has 1080p for clear visuals, one-way audio so you can listen in on your home, and space for an SD card so you can save clips offline. If you’re particularly interested in hidden cameras, check out this post with more recommendations. 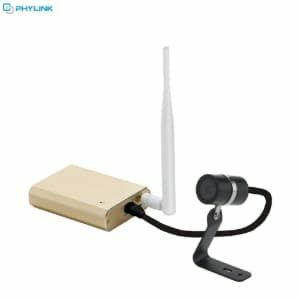 ASecureLife recommends: If discretion is more important than chatting with your kids over the camera or taking nighttime images, then the small Phylink Micro Camera is a great option that delivers high-quality images. Dimensions: 2.8 x 2.8 x 1.2 in. The Blink indoor camera isn’t as capable as the Arlo Q or as stealthy as the Phylink Micro, but it’s a great deal—making it particularly appealing if you want to stash nanny cams throughout your house instead of in just one room. Blink cameras are small and battery powered, so you can place them almost anywhere. And you can usually get them at a discounted price if you buy them in a pack. The Blink Indoor works with Alexa and a mobile app, so you’ll have easy control and access even when you’re not in the room. That makes it so you can do things like make sure teens get home safely from school (and that their friends don’t come back with them). Want to learn more about Blink cameras? Check out our full review. 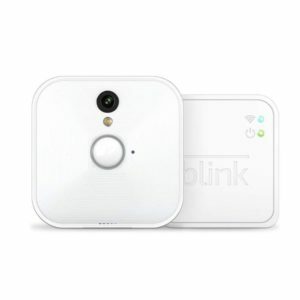 ASecureLife recommends: Choose the Blink Indoor if you need more than one camera or don’t want to spend a lot to check in on your kids while you’re out. If you decide to place a nanny cam in your home, be sure to look up the laws in your state. There may be restrictions about what you can and cannot record without consent. We strongly recommend telling any caregivers about nanny cameras in your home, both for your own legal protection and to build trust with the people taking care of your family. We ruled out most hidden nanny cameras because they don’t usually have enough features to let you interact with your kids while you’re away from home—which is a skill we find important in an effective nanny cam. We also ruled out Nest’s excellent indoor cam because it just doesn’t have enough of an edge to justify its higher cost when compared to the Arlo Q. 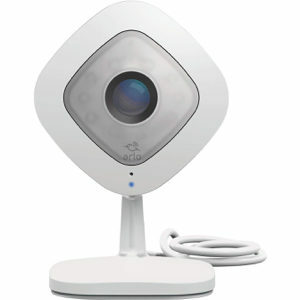 The Arlo Q is our top pick because it’s an affordable, easy-to-use nanny camera with two-way communication that helps you stay in touch with your family, whether you’re in another room or stuck late at the office. Need other cameras for your home? Check out more of our recommendations below.